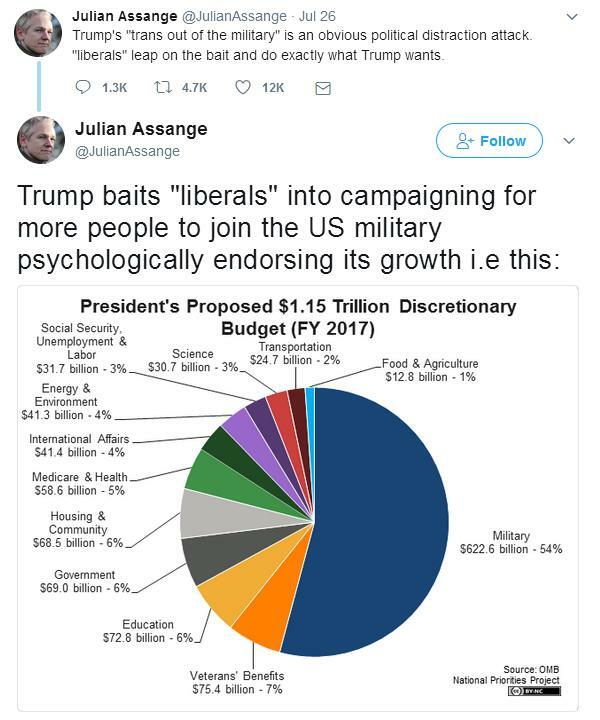 Julian Assange believes that Donald Trump is playing a 4D chess game to sneak increased military spending into the budget while everyone is distracted about transgender rights. This is classic “wedge issue” thinking. In his mind, if only transgender people and their “liberal” supporters would lie down and lose rights, we could tackle this bloated military problem for everyone. The problem with this notion is that most real people of minority status will not lay down and give up their rights for some urgent greater good. If there is 4D chess going on here, it is not hiding one issue with another — it is driving a wedge between constituents to induce fighting over what is more important. If anyone has fallen for Donald Trump’s 4D chess, that would be Julian Assange. But really, it is the oldest trick in the book. Before the election, Julian Assange focused upon Hillary Clinton’s desire for war and believed that Donald Trump would change that. Meanwhile, Web Line News published an article warning of “10 Reasons Anti-War Candidate Republican Donald Trump Reeks of War.” Since the election, Donald Trump has proposed expanding the military and has extended wars. Julian Assange was wrong then, and he is wrong on this one too. Permitting transgenders into the military does not equal “campaigning for more people to join.” The military will run just fine with or without the small number of transgender people who choose to join. The government may tap privatized resources like those run by Donald Trump’s cohort Erik Prince or even import missionaries from other nations. One response to his tweet said that “poverty is the driving factor” for enrollment. Reduction of the military must be achieved upon its own merits and not placed on the backs of transgender people. First, here is the graph he provided, right side. 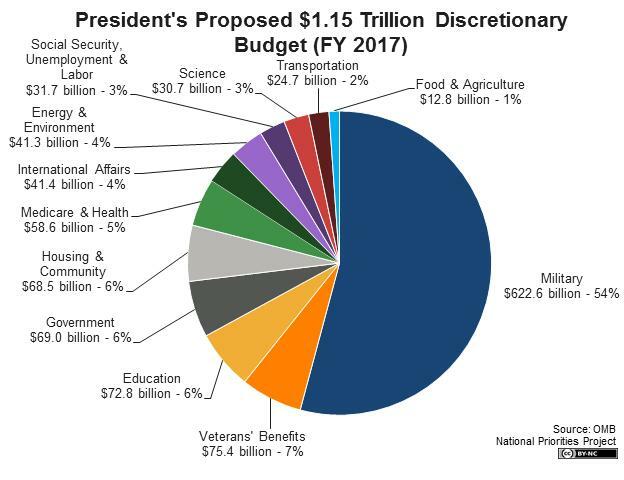 The reader may notice immediately that the title of the graph is “Discretionary Budget” — a category that does not cover the whole. Also notice that Social Security (SSA) is a tiny sliver of the graph, confounding common knowledge that SSA is one of the largest spending programs. The “$1.15 Trillion” sum comes up short, as many know the budget is well into the trillions. And where is national debt service? The pie graph does not seem right. Sure enough, here is another graph from the same source, National Priorities Project, left side. 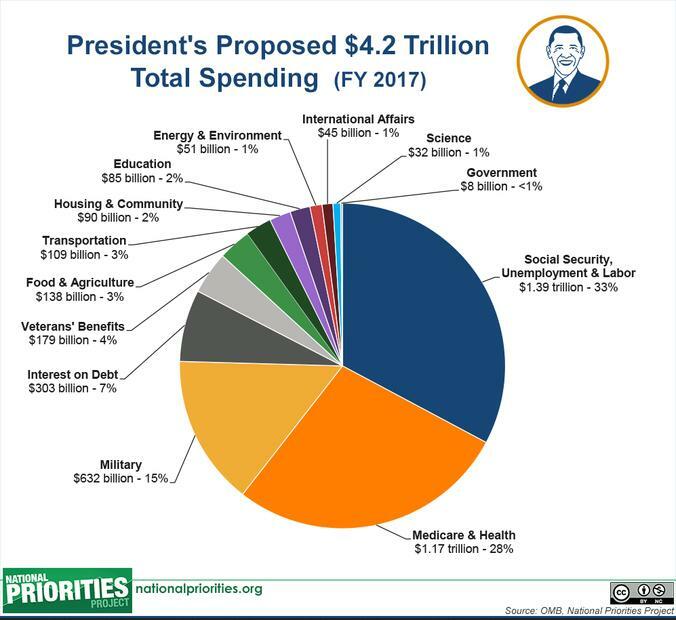 This one is entitled “Total Spending” and shows “$4.2 Trillion.” Notice that direct military is only 15 percent in this graph. 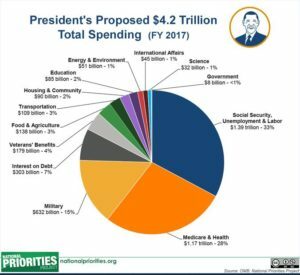 “Discretionary Spending” is not “Total Spending.” The discretionary spending graph above excludes nearly two thirds of all spending. 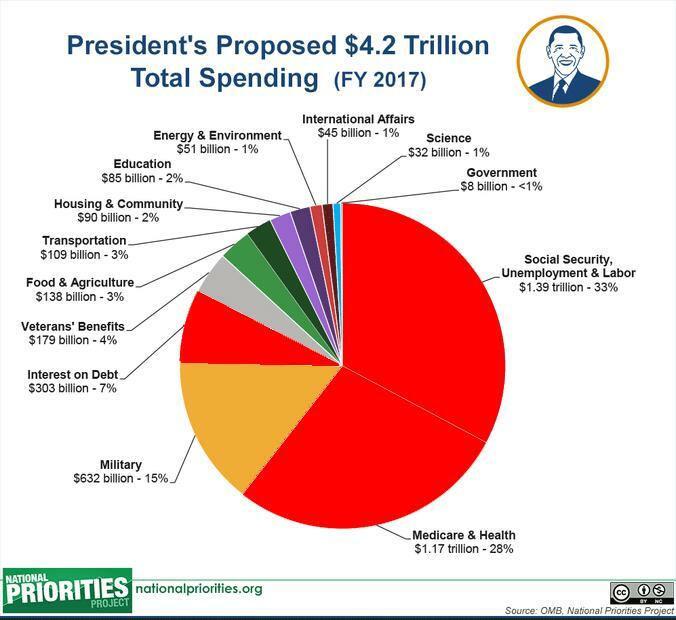 Finally, here is the same graph of “total Spending” with the missing sections colored red, right side. 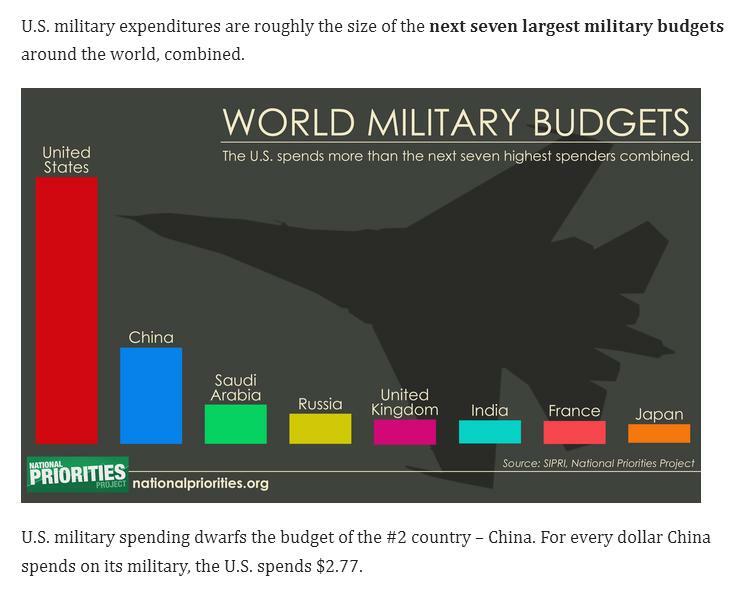 Now, military spending does not look so huge. In fact, it looks rather small.